But may I suggest making your own marshmallows and using all natural green coloring?! 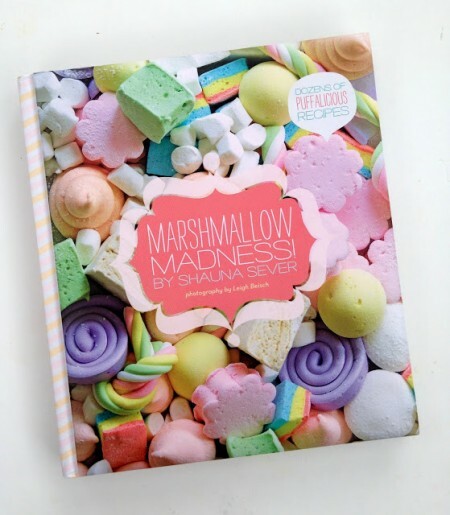 Fellow dessert blogger Shauna Sever wrote this fabulous book, Marshmallow Madness (the cover’s puffy like a marshmallow!). And Green Lite Bites teaches this trick for coloring your cakes naturally with spinach . She swears you won’t taste it!!! Pour on some real maple syrup with real melted butter, give me a side of extra crispy bacon, and I’d be in breakfast bliss. Pancakes by Lil’Miss Bossy with the recipe here on Betty Crocker.